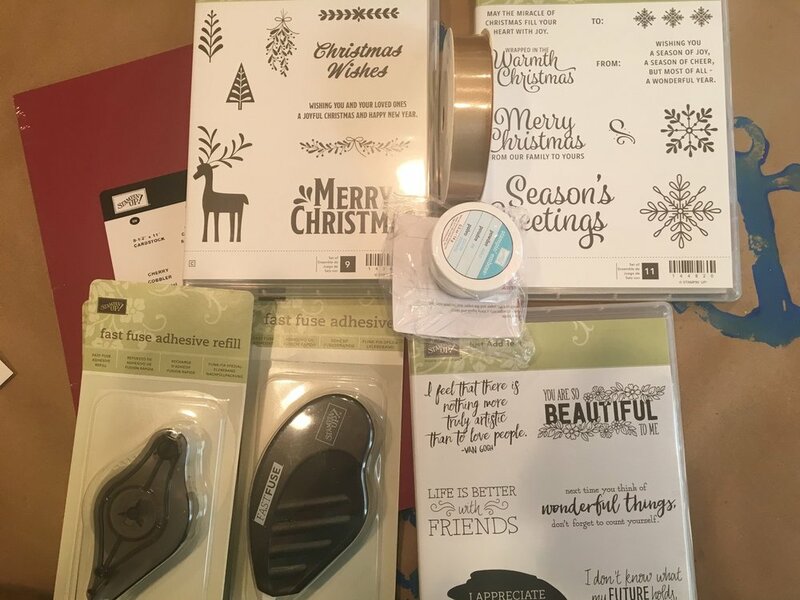 I took advantage of Stampin' Up! 's World Cardmaking Day sale. I snapped up a few stamp sets for 15% off and took advantage of the Fast Fuse deal (buy 1 get 2 free! ).